This is the place to ask about mapping problems, techniques, and bug fixing, and pretty much anything else you want to do in the level editor. Hello. 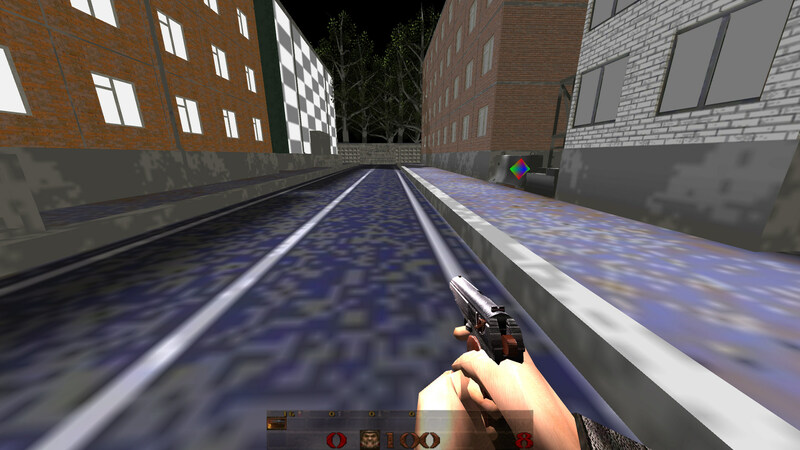 I want to try to make some maps for Quake. Well, wanted since long ago, but never got far. Now I saw AD and discovered Trenchbroom and had my interest in Q mapping renewed. So I've read Trenchbroom manual, and tried some things, and got some questions. 1. Is there a way to create geometry by drawing it with vertexes from scratch and extruding or smth? In any Q editor? What are standard ways to shape geometry in Trenchbroom? Vertex tool and Brush tool feel kind of awkward, probably because I dunno how to use them properly lol. By far I've had most success with cuboids and CSG substract - made a kind of hall with rooms on sides to test various blnking lights in each room. Trenchbroom is a multi-game editor, so by design its manual doesn't talk much about the specifics of mapping for a particular game. 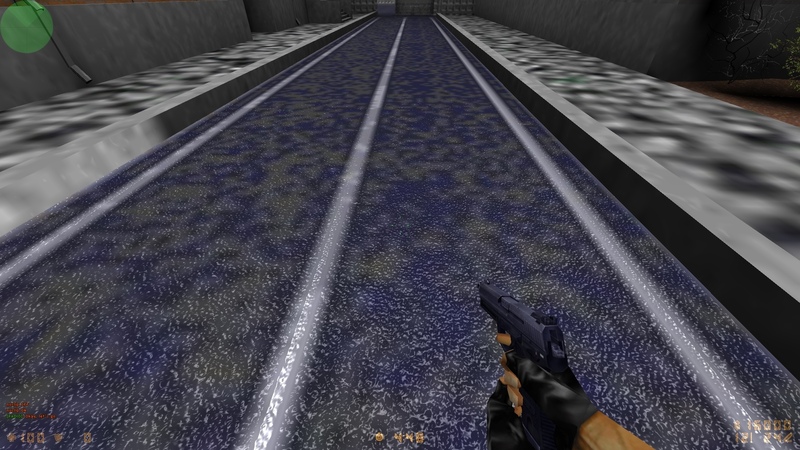 Doom and Quake mapping are very different beasts as you can see. Your best best is to learn to think and map in 3d. Especially with TrenchBroom as your tool of choice. Now that being said, there is the "brush tool" (default is B) that you can use to "click" out vertices and then extrude. But I would not recommend making maps entirely this way. It's very limited in that it can only be used on an existing surface and only in 3d mode. It's also a bit clunky. Not many ppl use it AFAIK. Your best bet is to watch my early tutorials on each of the tools and start creating brushes. For the most part, you will need to abandon most of what you have learned from Doom editing. Quake is true 3d and TB makes creating levels more of a 3d process than before. The good news there are tons of resources here and elsewhere. Bal's mapping streams are good to watch - although he's very fast. regarding the link above.... his mapping starts about 35 minutes into that video. Thanks for replies. I'll look through links/videos a little later. I wasn't going to make maps using the brush tool only or such. I'm just trying to figure out what is the usual workflow for creating more complexly shaped things than a corridor or box room, before starting to make a finished map. Seems that it is mostly adding up sloped/cut/rotated cuboid brushes? I guess there's also nothing like subdividing faces to get more vertices. This variable is already set to 1 on those screenshots. I tried to change its value to 0 and return to 1 but still nothing changed. I have path with 3 path_corner ("wait" "-1"). I made 2 trigger_once for start func_train. But only one works. How to make to move to the next path_corner only in the event? You can't... wait -1 stops the train permanently. rubicon 2 source has this feature ... every time it's triggered it starts moving again. I took a look at your source a while back, I'll add it to progs_dump for the next final release. It keeps coming up so ppl want it. I have seen in some maps glass that is transparent and I couldnt find any help on how to do this. Can anyone tell me how to do something like this? "alpha" key on brush entities, from 0 (invisible) to 1 (opaque). Is there any way to make it so water is not a set brightness? I'm using waterfall textures from ikwhite that fall into a vanilla water texture. I need either a way to set the water texture to not be fullbright/minlight or a better texture set for a waterfall into a body of standing water. Thanks for any help. I have not tried this but you try a func illusionary brush above the liquid with a black texture and set alpha between 0 and 1 (i.e. 0.5) to darken the brush underneath. Different Music Tracks In One Map? I'm still trying to get more atmosphere to different sections in my map. 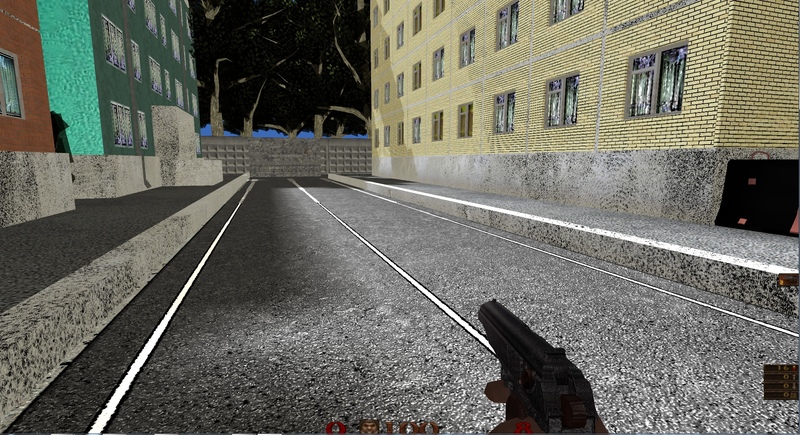 Does anybody know if there's a mod or something to play different music tracks in a map, activated by a trigger? I'm sure you could look at the QC and use that in your own progs.dat if you did not want to use the whole Mod. Thanks. I'm testing this and tell you if it works. Hi. I am new to mapping, and working on my first quake map, for AD mod. 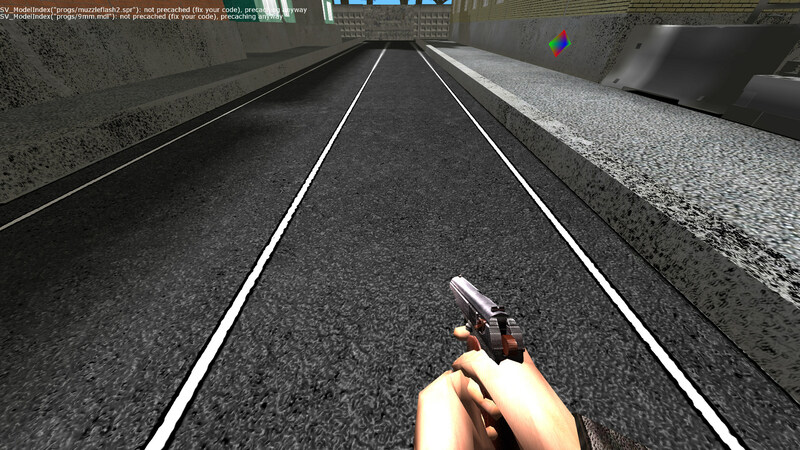 I am using the latest Quakespasm and Trenchbroom 2. I am about about halfway done with the map, and seem to have hit the limits. When I compile, no lights and everything is dark. From scouring the net, I understand I need to use BSP2 and sv_protocol 999 ? How do I do this ? Where do I change these things ? No lights and pitch black map does not sound like something related to hitting any BSP limits, you probably broke something else. To test bsp2, just put -bsp2 in your qbsp.exe params. Try running LIGHT.exe when you compile. Tends to brighten things up sometimes. Sounds like you are running light but may not have enough (any?) in your map. If you didn't run LIGHT the map would be full brightness. AND come over to Terrafusion Discord for real time banter and casual on-topic and off-topic chat.